LUCKNOW: The CMRS (commissioner of Metro railway safety) begins his inspection of the Metro corridor on Thursday. The inspection will continue till July 31. CMRS will check every component, detail of train, station, corridor & depot, before releasing his final verdict on the project. During first day of inspection, the CMRS checked the North-South corridor control room, from where trains will be monitored, the Transport Nagar depot, coaches of trains that have already been physically tested, & a few aspects of the Transport Nagar Metro station. The 3 day inspection will cover all aspects of passengers’ safety & comfort. Thus, the CMRC checked fire-fighting & passengers’ safety features as well. “The final verdict will come on Monday, when the CMRS finishes checking all parts of Metro’s priority section. He will inspect all parts in isolation and then give a report based on integrated functioning of these components,” sources said. The CMRS will board a train & experience speed, driving skills, safety features, among others. If he feels further testing needs to be done, or wants more improvements, he may give another date for a 2nd round of inspection, officials said. The Metro Rail project is looking forward to the commercial launch of its 8.5 km priority section between Transport Nagar & Charbagh next month. Most of the civil work on this stretch is complete. 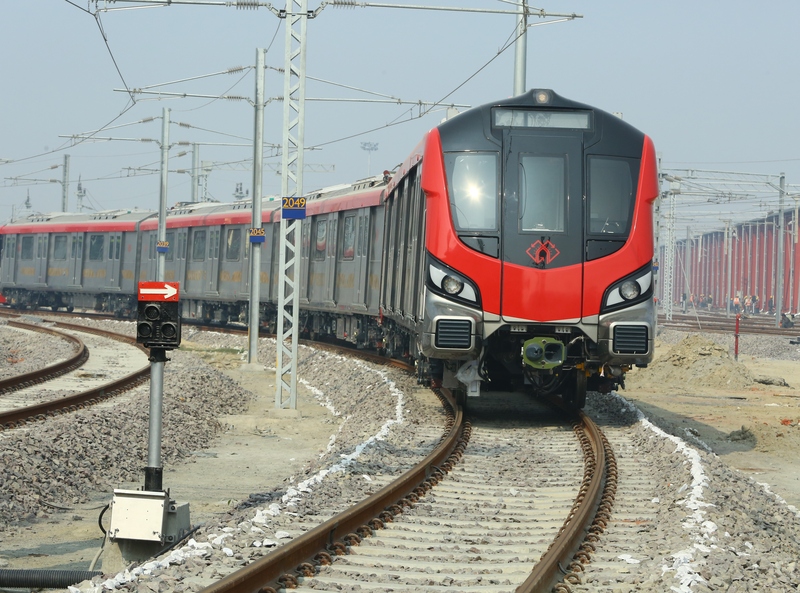 LMRC (Lucknow Metro Rail Corporation) needs CMRS’ approval for the final go-ahead, after which, it would just need CM Aditya Nath Yogi’s consent.